In this article, we'll look at a couple of examples to demonstrate how to read a text file as String, or get a List of lines as String from a text file. I'll also show the BufferedReader way, which you can use in Java SE 6 and earlier version. This is the standard way to read the whole file as String in Java. Just make sure the file is a small or medium size and you have enough heap space to hold the text from a file into memory. If you don't have enough memory, the below code can throw java.lang.OutOfMemoryError: Java heap space, so beware of that. You should also be careful with character encoding. Above code assumes that file and platform's default character encoding is same. If that's not the case then use the correct character encoding while converting byte array to String in Java. See Core Java Volume 1 - Fundamentals by Cay S. Horstmann to learn more about character encoding and converting bytes to text in Java. This was the old way to reading a file as String in Java. You can see that it require almost 8 to 10 lines of code, which can now effectively be done in just one line in Java 7. It uses the readLine() method to read the file line by line and then joined them together using StringBuilder's append() method. Don't forget to append the \n character to insert the line break, otherwise, all lines will be joined together and all text from the file will come as just one big line. 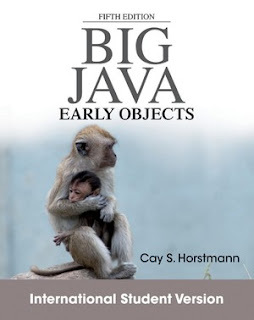 If you are not familiar with \n or \r\n, I suggest you read Big Java: Early Objects 5th Edition by Cay S. Horstmann to learn more about special characters in Java. Here is the complete Java program to read a text file as String, it includes both JDK 6 and JDK 7 approach to reading the content of the file in a String variable. * and second by using BufferedReader and StringBuilder. Effective Java is the best book for senior Developers. Clean code is the best book for Junior Developers. In the second example, don't forget to append the "\n" or "\r\n" depending upon whether you are running on Windows or UNIX, otherwise all lines of files are concatenated into just one line. Also, don't forget to close the BufferedReader to prevent resource leak, especially when you are not using automatic resource management feature of Java 7. That's all about how to read a text file as String in Java. You can use the new way if your program is running on JRE 7 and old way if you are using Java 6 or lower versions. Pay attention to character encoding of the file if you are not sure whether both file and platform's default character encoding (the machine where your Java program is running) is not same. idk how to solve the path.get error of this programme though i tried with Paths.get method using a Paths.get method is of URI so it is giving me compilation error.it's showing me "The method get(String) is undefined for the type Path". so,[ please help me with that.